We provide a wide range of home maintenance services in Liverpool. With more than a decade of experience, the technicians are fully certified, insured, and highly trained with the most advanced tools and techniques. Check out the services we offer: - Cleaning - end of tenancy cleaning, regular cleaning, one-off cleaning, after builders cleaning, carpet cleaning, upholstery cleaning, oven cleaning, bbq cleaning, window cleaning, gutter cleaning, holiday rental cleaning; - Removals & Storage - home removals, storage service, furniture collection and delivery, packing service, moving supplies, international removals, furniture assembly; - Pest Control - mice and rat control, bed bug treatment, cockroach control, wasp and bird control, fumigation, and any other pest treatment; - Gardening - garden maintenance, garden clearance, lawn care, tree surgery, pressure washing, and more! - Handyman - the handymen can help you with everything from picture or mirror handing and TV mounting to kitchen repairs and appliance installation! Don't hesitate to contact us anytime and our helpful customer care representatives will answer all of your questions! At Ash Landscapes we complete a number of jobs for a number of Housing Association’s, Local Council’s and private customers. We are fully insured and fully qualified to carry out all the jobs listed below in a professional and safe manor. 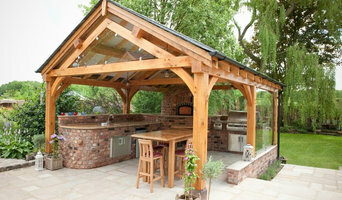 We are also a registered member with The Guild of Master Craftsmen. This means we are dedicated to upholding the highest standards of workmanship and integrity. Fully qualified and 15 years experience. We cover both domestic and commercial clients and we cover everything from installing a lawn you have already purchased all the way through to us helping you decide on the grade of lawn your after, design ideas and installation. We don`t just leave you to be after the lawn is installed our customer support team will remain in contact to ensure your new lawn remains at high standard we left, if for any reason there is an issue with the lawn all our work comes with a 3 year guarantee and the lawn itself with a 10 year guarantee. 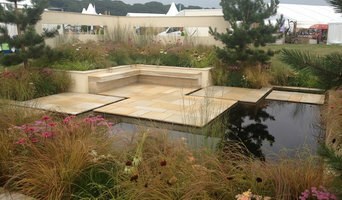 Bridie's Garden Design & Landscaping Ltd is based in Ramsbottom, North Manchester and has been creating gardens since 2006 Run by professional gardener Bridie Newton, we offer a professional, friendly service to customers from initial consultation and design through to final installation. 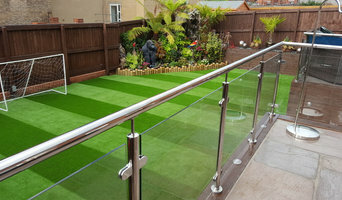 We take up most hard landscaping work including all aspects of domestic fencing with a passion to gain a reputation for quality and great customer service. Why should I hire a Little Hulton, Greater Manchester gardener or landscaper? Even if you do have a few green fingers yourself, gardeners in Little Hulton, Greater Manchester will have the experience and training to carry out larger landscaping projects and will have the eye for what works best where and when in your garden. They may work with a landscape designer or architect who will put together the plans that they then execute, or they may do this work themselves. 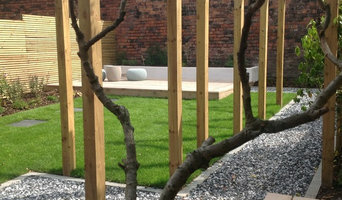 If you’re looking for a Little Hulton, Greater Manchester landscape architect, or perhaps you want to select your own garden supplies yourself, then you can find the right professionals for this on Houzz, too. Here are some related professionals and vendors to complement the work of landscape contractors: Landscape Architects & Garden Designers, Garden & Landscape Supplies, Stone, Paving & Concrete, Tree Services. Once the plants have been chosen, planted or potted, and the lawn or patio laid, then your garden will be ready to enjoy, but never completely finished. Like all living things, your garden will grow and change with time and the seasons, so it will need a bit of TLC and garden maintenance from time to time. This is when you may want to hire Little Hulton, Greater Manchester gardeners again, especially if you have a very large garden or landscaped area that needs constant upkeep. Hire Little Hulton, Greater Manchester gardeners to water, weed and prune your plants, keep the lawn trim and green, and cut back any over growing trees. Some Little Hulton gardeners may source their own garden supplies, while with others you may have to do this yourself. Find landscapers or gardeners on Houzz. 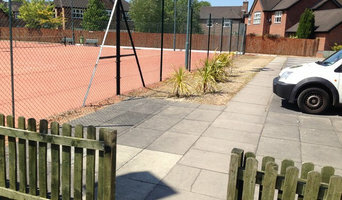 Narrow your search in the Professionals section of the website to Little Hulton, Greater Manchester gardeners and landscape contractors. You can also look through photos of Little Hulton, Greater Manchester landscapes and gardens to find one you like, then contact the Little Hulton, Greater Manchester gardener who worked on it.